I have a feeling the LG G7 One will be one of the most compelling smartphones to launch in Canada this year. I say that knowing full well that there are more capable devices like the iPhone XS and Note 9 that Canadian consumers can spend their hard-earned money to buy. 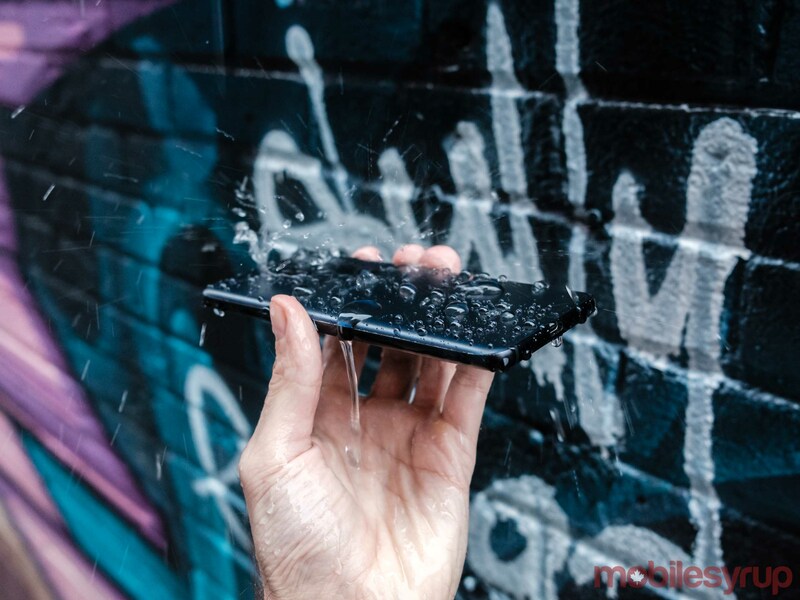 The thing about high-end smartphones within the context of the Canadian wireless market is that there are a lot of options, each more perfect than the last. What’s missing are smartphones with compelling feature sets that don’t involve signing an expensive $115 per month rate plan just so that you can get a decent discount off the initial price of the device. There’s a reason I like smartphones like the OnePlus 6 so much, and why I have high hopes for LG G7 One. In short, think of the G7 One as a modern Nexus 5. It’s pared down version of this year’s LG G7 ThinQ that runs a stock version of Android 8.1. Instead of Qualcomm’s current top-of-the-line chipset, the Snapdragon 845, the G7 One features last year’s flagship system-on-a-chip, the Snapdragon 835. Similarly, it includes 4GB of RAM, instead of 6GB, and features 32GB of internal storage compared to the G7 ThinQ’s 64GB of base storage. 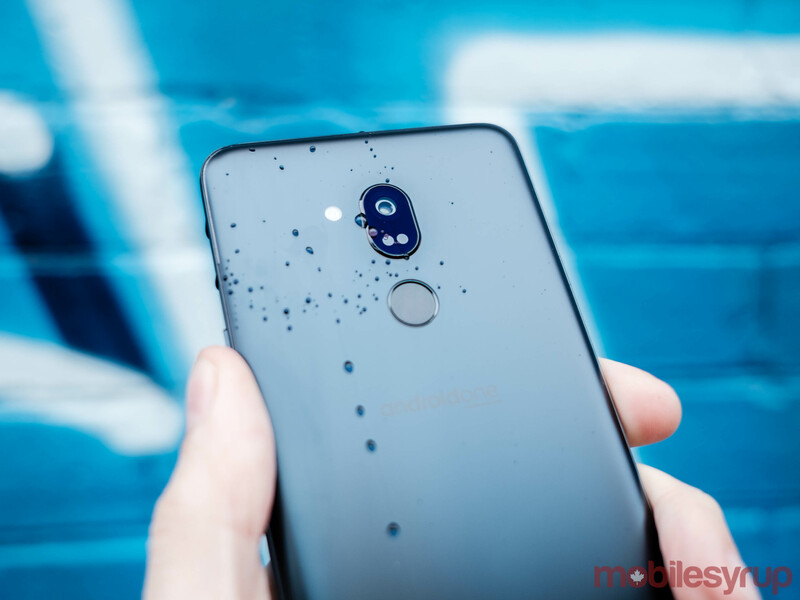 However, like its more expensive sibling, the G7 One includes microSD card expandability, allowing users to add up to 2TB of additional storage to the device. I’ll note here that before installing any apps on the G7 One provided to MobileSyrup by LG, the smartphone had approximately 18GB of free storage. Otherwise, the G7 One includes many of the same features that made the G7 ThinQ a dark horse pick for 2018’s best Android smartphone. With the exception of inductive charging, everything that made its more expensive sibling compelling — IP68-certified water and dust resistance and a 32-bit Hi-Fi Quad DAC with DTS:X support — is present and accounted for. In addition, the G7 One features the same 6.1-inch LCD display with 19.5.9 aspect ratio, 3120 x 1440 resolution, 1,000 nits brightness and HDR 10 support as the G7 ThinQ. Like I said, there’s a lot to like about the G7 One from a hardware perspective. The one possible caveat is the camera. The G7 One drops the dual rear-facing cameras of the G7 ThinQ, instead opting for a single 16-megapixel sensor with f/1.6 aperture lens and optical image stabilization. On paper at least, the camera appears promising thanks to the bright f/1.6 aperture of its lens. LG has additionally included a pixel binning technology that’s designed to maximize the main camera’s light gathering capabilities in less than ideal lighting situations. What’s more, in a couple of shots I did take, I noticed the G7 One’s autofocus was slow to lock focus. I also noted a couple of instances of focus hunting in which it took the G7 One several longs seconds to nail focus. As usual, however, we’ll need to do more testing to see how the camera performs in the long run. I’ll also note, for better and worse, that the G7 One doesn’t include LG’s camera app. Instead, what’s available here by default is a no thrills affair. Google Lens integration is built directly into the camera app, as is support for high dynamic range photography, but there’s no option for manual controls, nor slow-motion video capture. Of course, the thing that almost anyone reading this article is interested in is the G7 One’s software package. 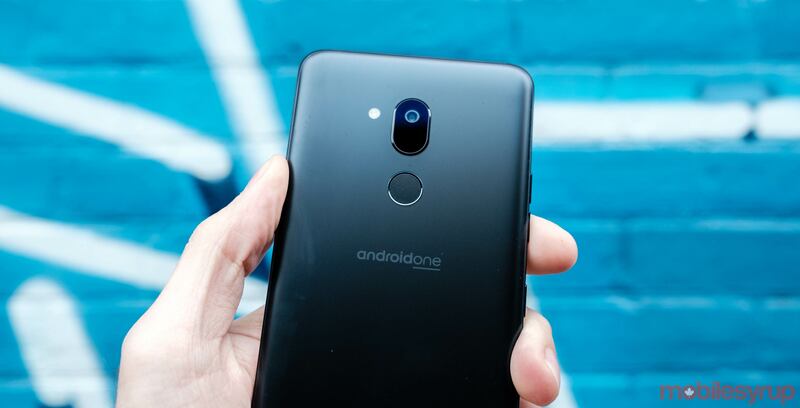 The LG G7 One is an Android One-branded device. In practical terms, this means that it ships with a near stock version of Android 8.1. You won’t find a single LG or carrier-branded app. What’s more, LG says it plans to furnish the G7 One with two major Android updates starting with Android 9 Pie. 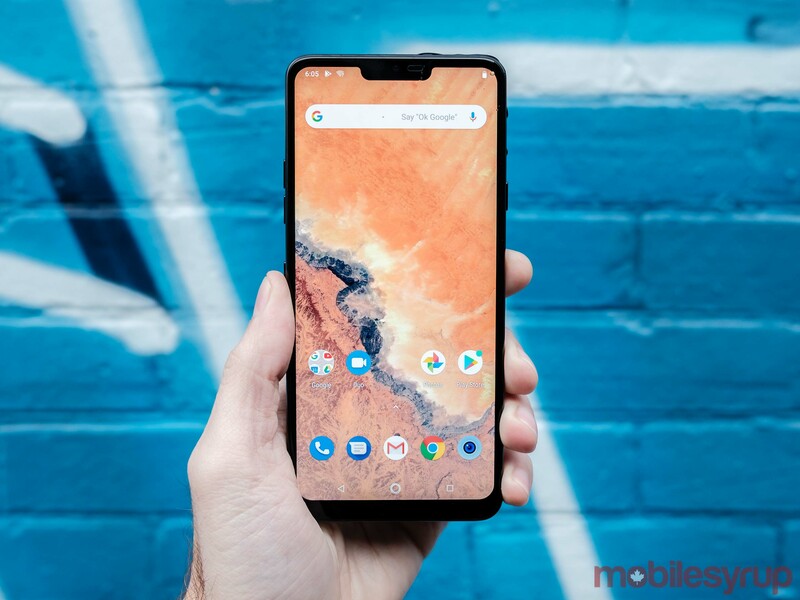 LG has a mixed history when it comes to delivering timely updates to its devices, but for what it’s worth, a Google spokesperson said the G7 One will be among the first Android devices in Canada to get 9.0. There are some customizations to be found on the G7 One. However, those customizations almost exclusively involve the G7 One’s unique hardware features. For instance, the G7 One is the first Android One device to feature a dedicated Google Assistant button. Overall, what’s here is a breath of fresh air compared not just to other LG devices, but to devices that the G7 One will compete against at and above its price range. There’s none of the cruft that comes with LG’s usual UX skin, and the device is fast, responsive and easy-to-use. The one missing piece of the puzzle — and likely the determining factor as to whether the G7 One sees pickup in Canada — is price. LG has yet to share that information. 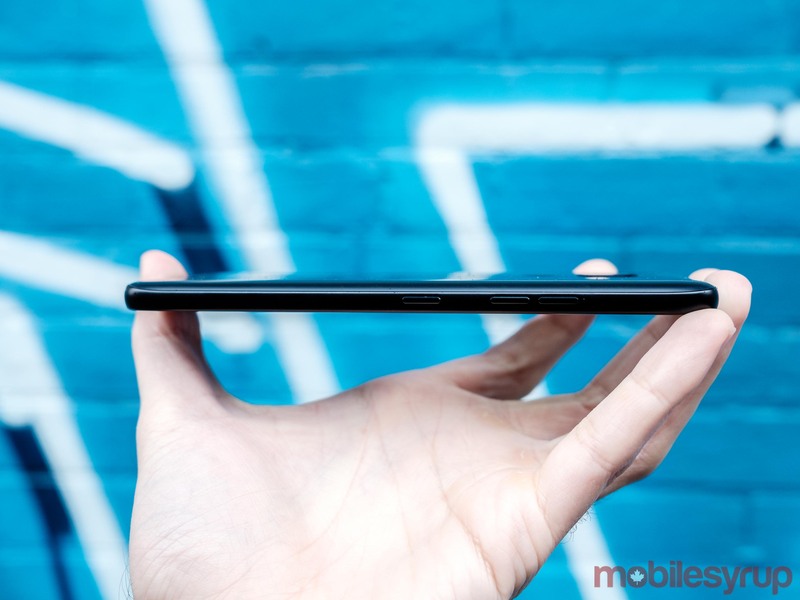 I imagine if it comes under the outright price of the OnePlus 6 and carriers offer it at $0 on their smaller tab plans, a lot of Canadian consumers will be interested in this smartphone. 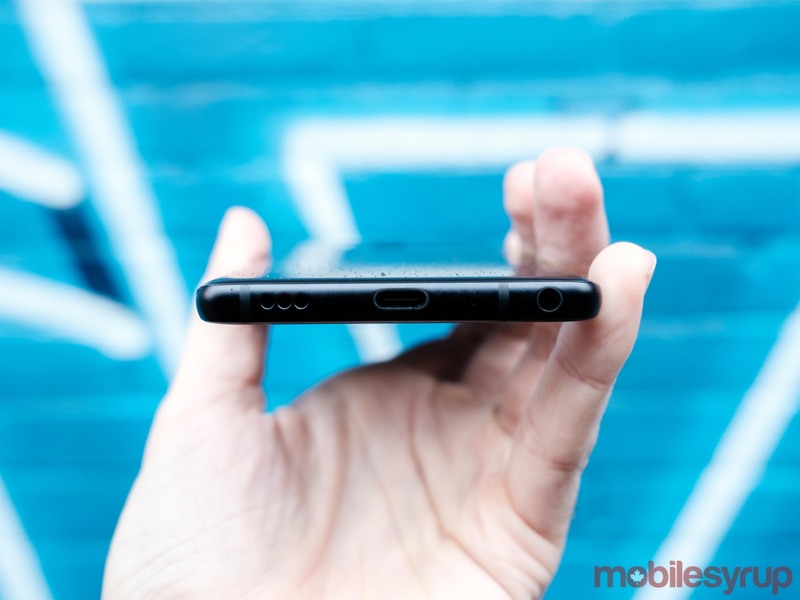 Speaking of carriers, almost every carrier of note, including all three national carriers — Rogers, Bell and Telus — as well as their respective flanker brands — Fido, Virgin Mobile and Koodo — will offer the G7 One on contract. Among the regional players, missing is Shaw-owned Freedom Mobile. Freedom’s absence is a head scratcher since the G7 One on one of the carrier’s Big Gig plans would have been a fantastic combination. The G7 One will launch in Canada on October 19th. We’ll have more on the LG G7 One, including a full written review, in the coming weeks. Correction: An earlier version of this hands-on incorrectly stated the LG G7 One’s rear-facing camera doesn’t feature optical image stabilization (OIS). The rear camera does feature OIS.